Annex IV was established by the IEA Ocean Energy Systems (OES) in January 2010 to examine environmental effects of marine renewable energy (MRE) development. The United States leads the Annex IV effort, with the Department of Energy (DOE) as the Operating Agent, partnered with the US Bureau of Ocean Energy Management (BOEM) and the US National Oceanic and Atmospheric Administration (NOAA). Annex IV is implemented by Pacific Northwest National Laboratory (PNNL). The MRE industry is relatively new and has faced regulatory challenges associated with potential environmental impacts that are not well understood. Annex IV is mobilizing information and practitioners from OES nations to coordinate research that can progress the industry in an environmentally responsible manner. A key component of this effort involves making existing information available and accessible. 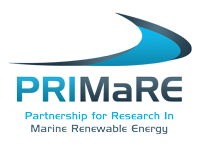 The Marine Alliance for Science and Technology for Scotland (MASTS) is a consortium of organisations engaged in marine science and represents the majority of Scotland’s marine research capacity. The overall objective of MASTS is to facilitate better communication, collaboration, and coordination amongst the marine research community whilst ensuring that Scottish marine science receives international recognition. MASTS also provides an academic platform and knowledge base for marine governance and commerce by contributing to the Scottish Marine Science Strategy. SEACAMS is a science programme to integrate research and business opportunities in the marine sector in Wales. SEACAMS is a partnership between Bangor and Swansea Universities with the objective of helping to expand the coastal and marine sector in Wales.